We LOVE to make Valentine’s Day cards around here. If you need some fun ideas, here are the cards from last year and here are the cards from two years ago (those were my favorite). Alice liked this idea and I secretly I thought it might be sort of boring but they turned out adorable. The great (or not so great, depending on who might be a craft control freak) thing about these cards is that Alice made them all by herself. 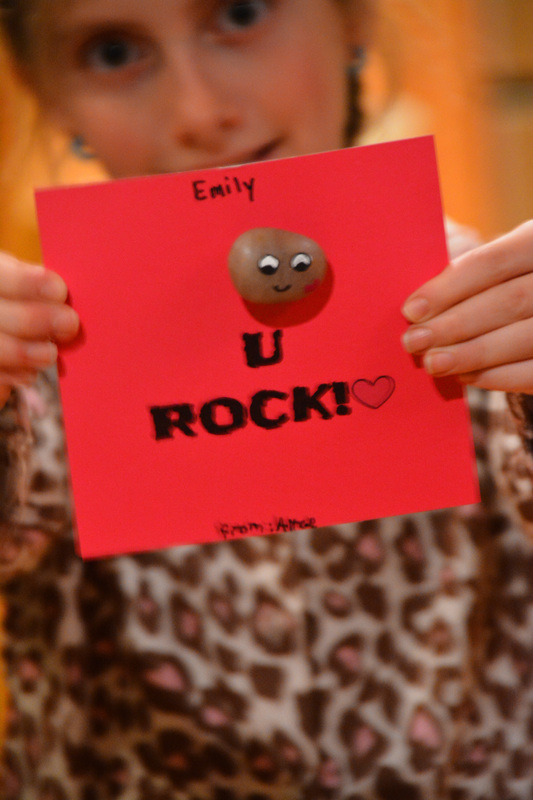 She painted all the rocks and designed the card herself. Paige loves her Valentine’s and it was really hard not eating all the contents. Smores. Who doesn’t love a smore?!?!? 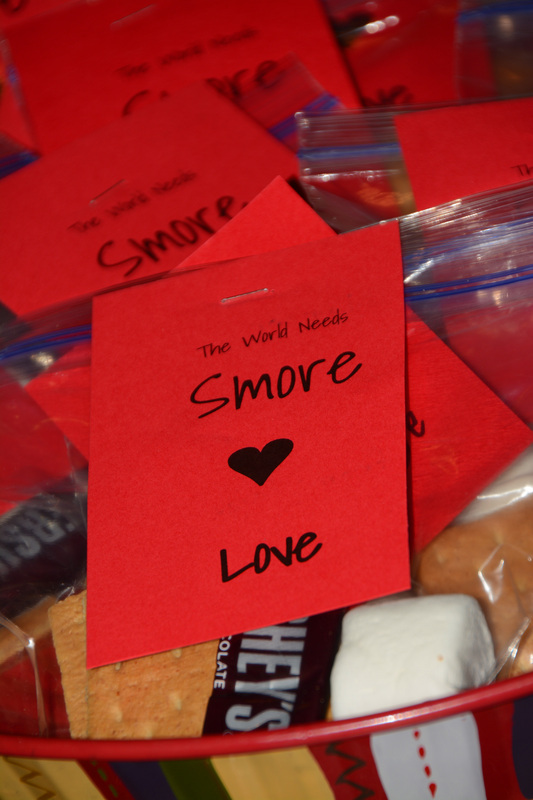 We came up with a few cute sayings but she finally decided on The World Needs Smore Love. Mason went with the non-food choice. 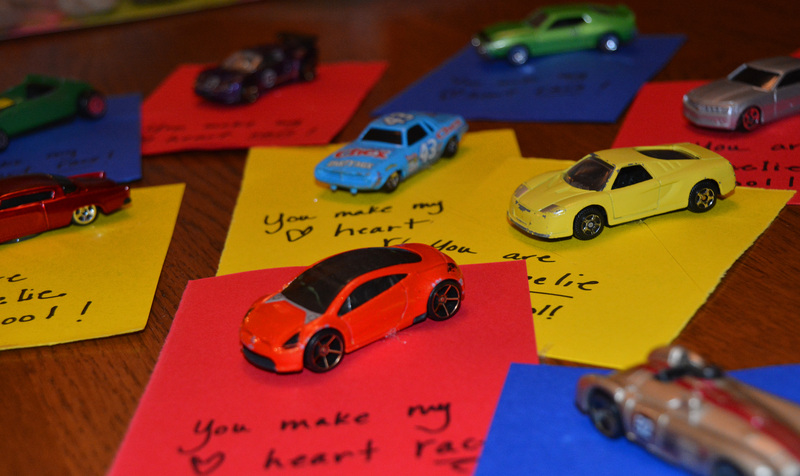 It can be hard to find homemade card ideas for boys. This one turned out pretty darn awesome, if you ask me. He has two saying on his Valentines. Girls- You make my heart race. Boys- You are Wheelie cool. Evidently middle schoolers don’t pass out cards, so Sam just hung out and watched. So, Happy Valentine’s Day to you. I can’t promise I will be around the blog tomorrow so here’s to a day filled with the people you love! Way to cool you girls and guy!